Are you crazy about cats? Tiger. Smokey. Shadow. Tigger. Princess. Max. One cat is rarely enough… You feel compelled to get another when the first grows up, because everyone knows the kitten stage is the best. 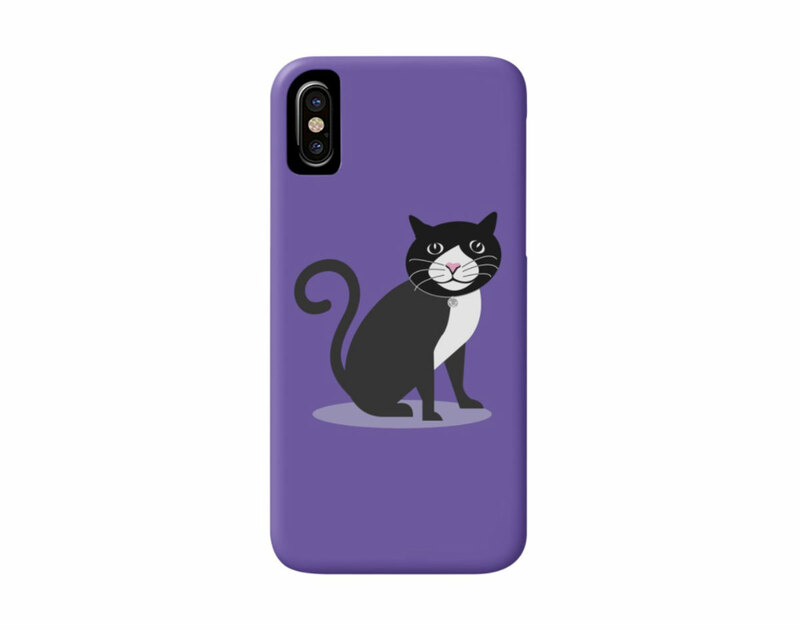 Looking for ways to satisfy your cat addiction that don’t involve scratching posts or kitty litter? You’ve come to the right place. Meet CHLOE the CAT. 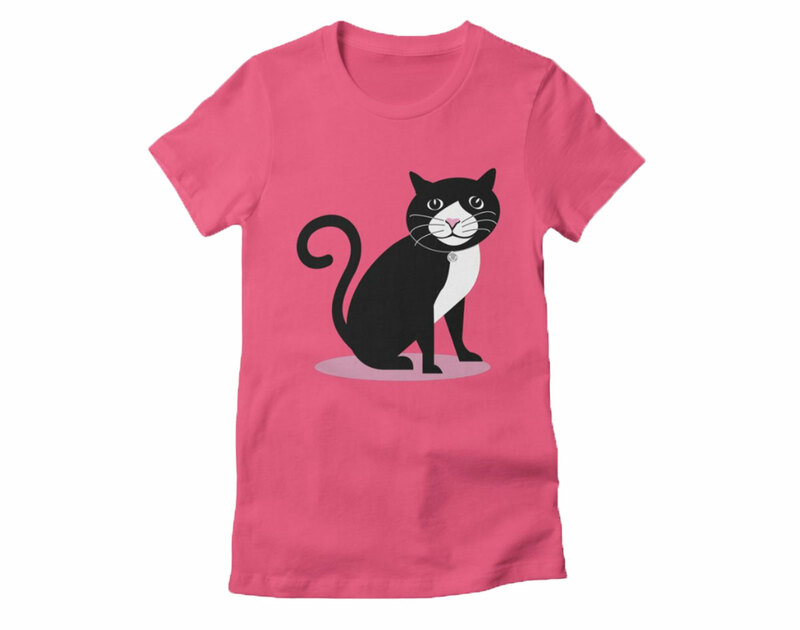 Little Packrats’ “Tuxedo cat” is always dressed for a formal occasion. 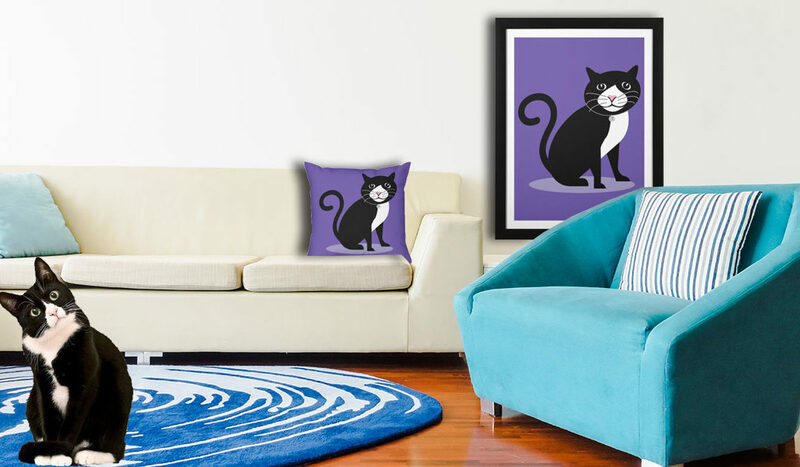 Adopt this dapper black and white kitty on any number of cool cat gifts and satisfy your feline obsession. 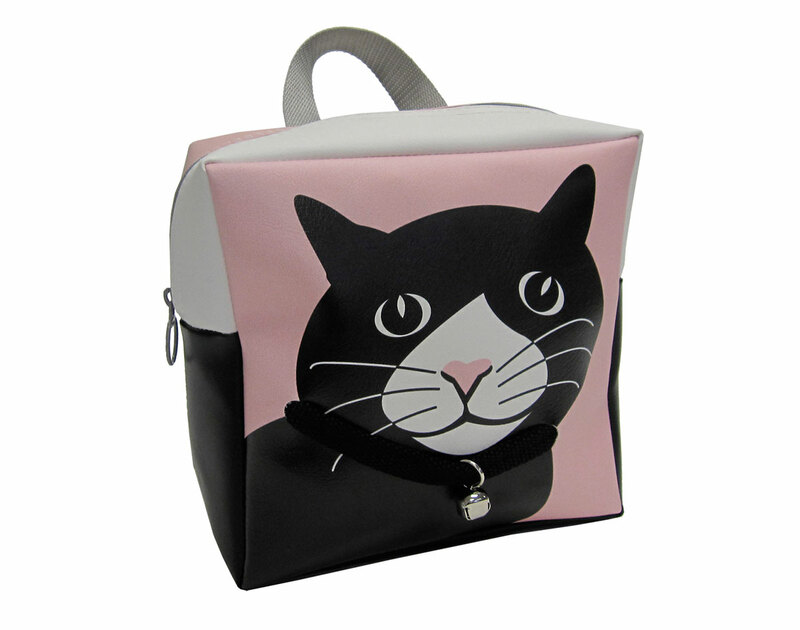 This 9″ × 9″ × 3″ easy-care pint-size backpack features a realistic 3-D cat collar with jingle bell (that will let you keep track of your kiddo) and adjustable straps. Perfect for school or travel and the ideal size for snacks and toys. 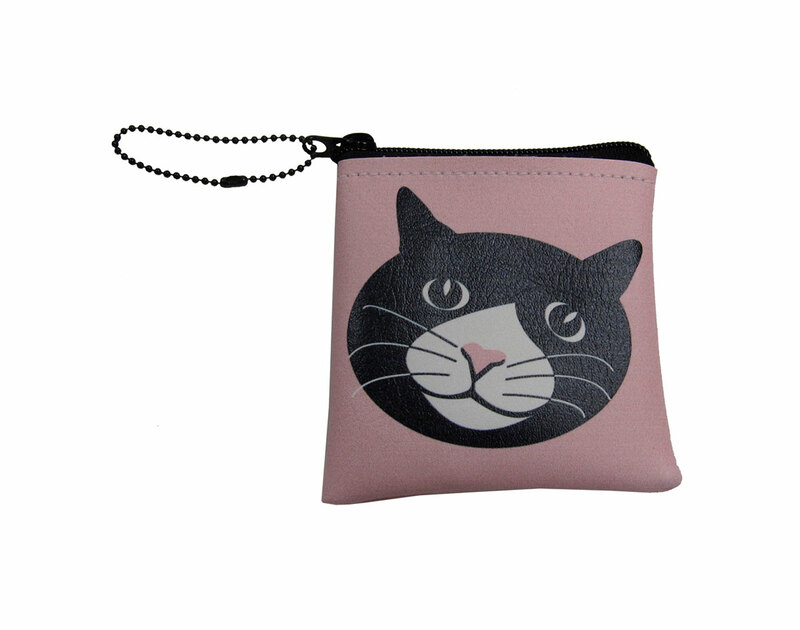 4″ x 4″ mini zippered case perfect for carrying trinkets, treasures or your milk money. 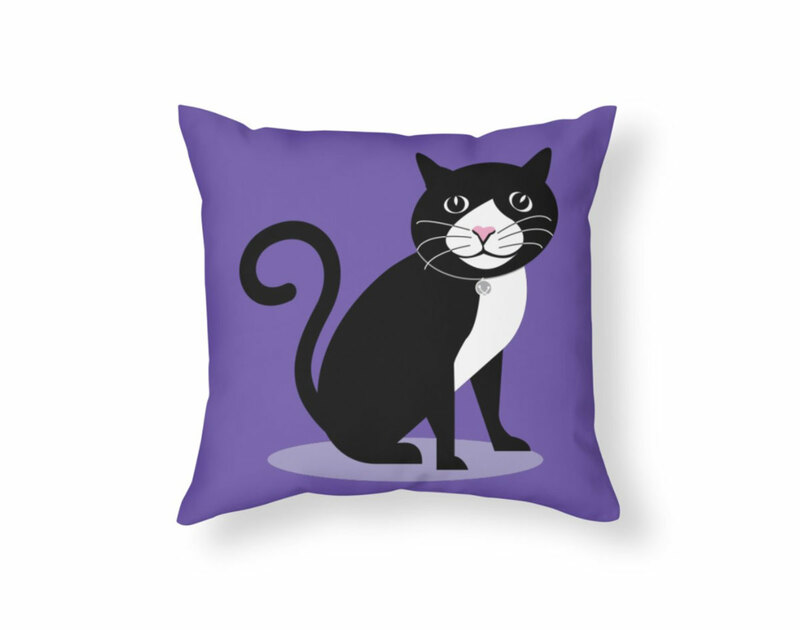 Choose from Chloe the Cat or six other styles; buy them in bunches and shower your friends. Each small bag comes with a key chain. Figure flattering and fab, this tee is perfect for stylin’ up, stylin’ down, or stylin’ any super cool outfit. Available in 5 sizes and 15 colors or choose from other creatures for men, women and kids. 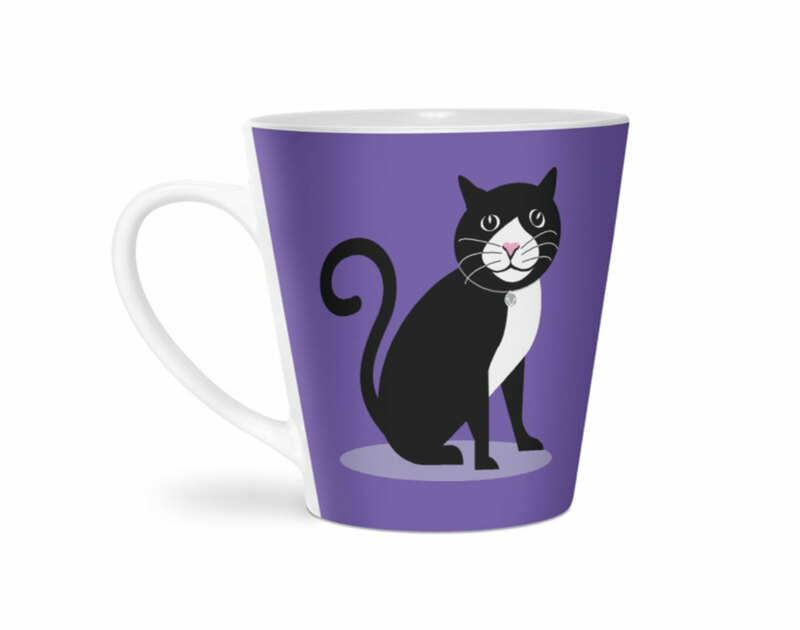 Premium ceramic coffee mug for your caffeine and cocoa requirements. Single sided art print with top to bottom wraparound color. Dishwasher and microwave safe. In standard, latte and (stainless steel) travel, 11-15 oz. This super comfy 100% spun polyester pillow features a concealed zipper and includes a pillow insert. 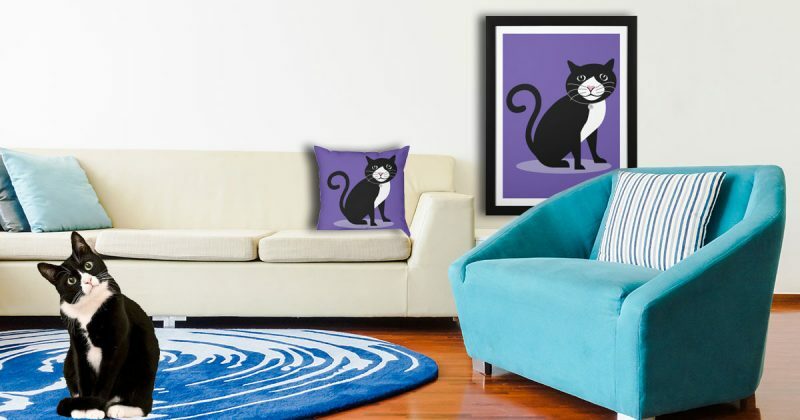 It always looks just right on your sofa or bed. Available in sizes from 14 x 14 in up to 26 x 26 in. One-piece hard plastic case with super slim profile. Provides solid durability, impact resistance, and easy access to all ports and controls. Available in slim and tough styles for iPhone 5-x and Galaxy s4-8. Or find print-to-order apparel, accessories and home decor all emblazoned with cool creatures at Threadless.